The steps were gone and nearly forgotten. On an overcast Saturday in August, 40-some-odd fans of Eternal Sunshine of the Spotless Mind, Charlie Kaufman and Michel Gondry's sensitive, surreal romance from 2004, plodded across Kirk Park Beach in Montauk, Long Island to glimpse a spot they knew from their movie-going memories: the set of stairs where Joel (Jim Carrey) discovers a set of journal entries scribbled down before the deletion of his memories. ("It appears this is my first entry in two years.") Though local bros gawked and the sand (an overrated assortment of tiny rocks) made each forward-step three times harder, a structure as simple as a set of stairs was worth the trek for this group of romantics. A whispered mantra kept them marching on: meet me in Montauk. Except when they arrived, the stairs weren't there. The makeshift tour guide knew where Joel's retreat would have been -- out in front of the old Ocean Surf Resort, on an anonymous patch of East End beach -- but in place of the creaky, sand-dusted steps that they knew, the tourists found the smooth, reinforced replacement. To see the real stairs again, they'd have to recall those grainy images from the movie and use their imagination -- it turned out, Hurricane Sandy destroyed Gondry's unassuming shooting location in 2012. Movies and memories speak the same language. They can document with tangible details or toy with the truth. They can be personal or universal or both at the same time. They can sear themselves into the fibers of your being or fade into obscurity. We can expose ourselves to them, decode them, wrestle to understand "why" they happened, or never file them at all, absorbed as instant gratification. The way we scroll through iTunes to rent and revisit a movie's affecting performances, plot twists, and whatever tingly feeling ran through us during that one pivotal scene is the same way we backtrack through our subconscious and sense memory for blips of life. Eternal Sunshine is an etymological study of this entangled language: if memories played like movies, and if movies unfurled like memories, what would it feel like? Kaufman and Gondry come close to the answer by propelling us backwards from Joel's (re)introduction to Clementine (Kate Winslet) to their vicious break-up, then forward down through the vortex of Lacuna, Inc's lo-fi brain erasure, then backwards again to the safe spaces of Joel's repressed childhood memories, and finally forward once more to reality's present, where the fated-but-bewildered couple meet again. 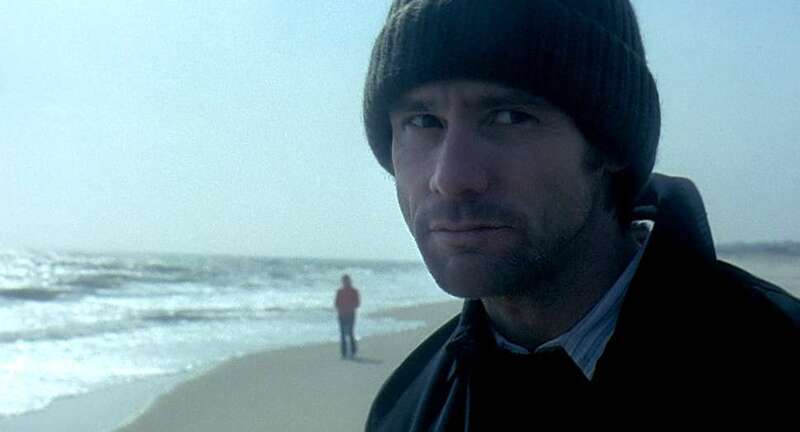 Gondry's clever camerawork, mimicking the ebb and flow of the mind, became instantly iconic when Eternal Sunshine premiered. Simple tricks, like Joel running from the dark vortex of a closing Barnes and Noble into the living room of his friends' home in one seamless shot, or the forced-perspective trickery that allows Carrey to become a tiny "Baby Joel" sitting under a kitchen table as Winslet's full-sized Clementine calms him down, create a dreamworld that's recognizable to anyone with a penchant for dozing off. But Kaufman captures the voice of memories in his script, too; at the picnic where they first meet, Clementine asks Joel for a piece of fried chicken. In the comfort of his own head, inner thoughts can be proclaimed. "And then you just took it," Joel says. "Without waiting for an answer. It was so intimate; like we were already lovers." Stringing together pangs of lust, anxiety, infatuation, erratic behavior, guilt, bliss, while still finding room to explore the existential crisis of Lacuna, Inc's emotion-erasing business, Eternal Sunshine, a movie about memory, lodged itself in a corner of audiences' brains. People love the movie -- more than a decade later, critics still anoint it one of the best -- but as evidenced by the gaggle of sneaker-wearing adults willing to parade through volleyball dudes and rosé-sipping socialites down a popular Hamptons beach, people also cherish the experience of seeing the movie. They can remember how their heart sank when they first saw -- SMASH CUT -- Joel driving through his break-up waterworks while Beck's "Everybody's Got to Learn Sometime" played in the background. They can recreate the hopeful smile of Clementine asking Joel to stay at the beach house as the walls, and the memory itself, cave in. I'm with them -- my high-school girlfriend and I saw Eternal Sunshine on opening weekend in March 2004 in a small arthouse theater in the suburbs of Philadelphia. We were crushed; if we thought nightly AIM conversations and school dances were hurdles, here was the deepest love imaginable not functioning in perfect harmony. I left wanting Jim Carrey's woolen cap, Clementine's hair, and their transcendent understanding that not everything in a relationship needs to be perfect. The "Meet Me in Montauk" celebration, an all-day affair staged by Alamo Drafthouse theaters and Focus Features (part of a year-long tribute to the studio's 15 years in moviemaking business), whisked viewers away to Montauk to get back in touch with those original feelings. 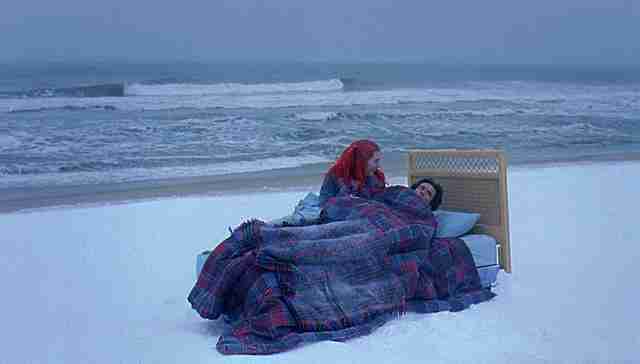 If you saw a part of yourself in Eternal Sunshine back in the day, imagine the rush of living it for a few hours. 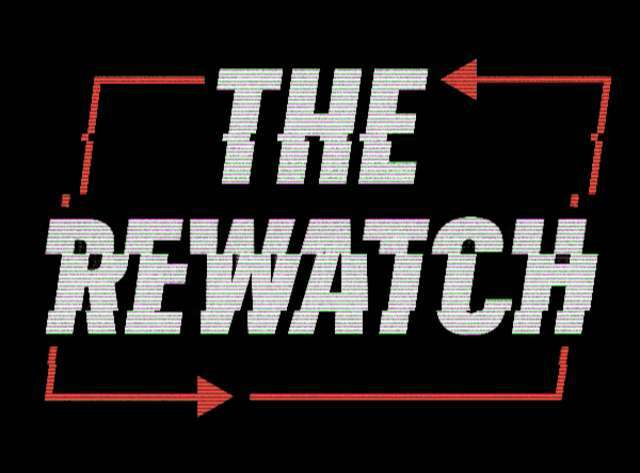 There'd be a tour of Kaufman and Gondry's famous locations, free orange sweatshirts just like Clementine's, and a private screening of the movie -- where else? -- in beds on the beach. But what wasn't intended, and became the joy of this trip down memory lane, was how the simple sightseeing adventure instead added a meta-layer to an already complex story. We came to Montauk looking for the past and found it erased. The refurbished staircase wasn't the only displaced iconography. At a roundabout a half-mile away sits the diner where Joel and Clementine took refuge from the winter weather and flirted from afar. In the early 2000s it was the quaint, beach-town-ready Plaza Restaurant. Now it's Tacombi Montauk, a vibrant taqueria where waves of 20-somethings knock back Corona and scoop up guacamole. If you came to Montauk in February it'd be closed for the off-season. 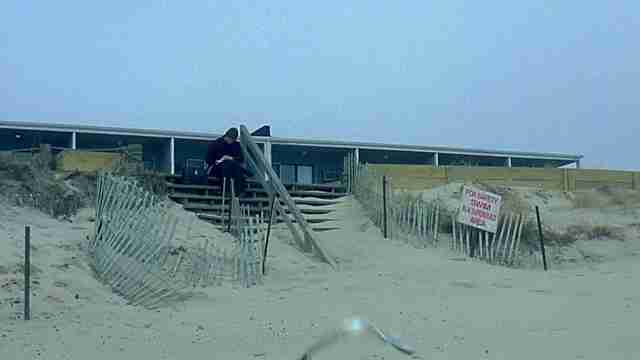 Forty minutes south, the house where Joel first met Clementine, which crumbled to rubble as the memory-eraser obliterated the final bits of their shared memories, still stands on Wainscott Beach in East Hampton. After the previous facelifts, seeing the 140-year-old home preserved in stoic, peaceful glory was the ultimate reward. After a few minutes of admiration, the tourist bug bit the group -- everyone wanted to have their Eternal Sunshine moment of running towards the house, kicking up sand, and not giving a hoot. A few people got the chance. Then the locals showed up. 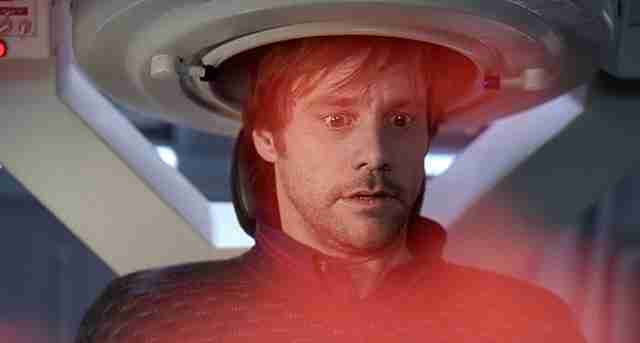 No one realized back in 2004 that Eternal Sunshine would become a memory itself. Joel and Clementine's New York was quirky and picturesque, built out of pockets from around Long Island and the city to form the movie's microcosm of experience. But a decade ago, an ambitious dreamer could have completed the tour -- from Brooklyn to Grand Central Station to Yonkers to Franklin D. Roosevelt State Park (the stand-in for the frozen "Charles River") then out to Montauk for the bookends. Now we only have the movie. The steps are gone. The diner's gone. The house is under guard. Not just that, but miles away in the city, Joel and Clementine's Chinese restaurant is gone; the house standing in for Joel's childhood home is boarded up in Bayonne, New Jersey; and the Barnum & Bailey Circus, which provided Gondry with an impromptu elephant parade backdrop, closed for good earlier this year. It's enough to make any fan fall to the ground and scream. Can you hear me? I don't want this any more! I want to call it off! The key is realizing what we still have. 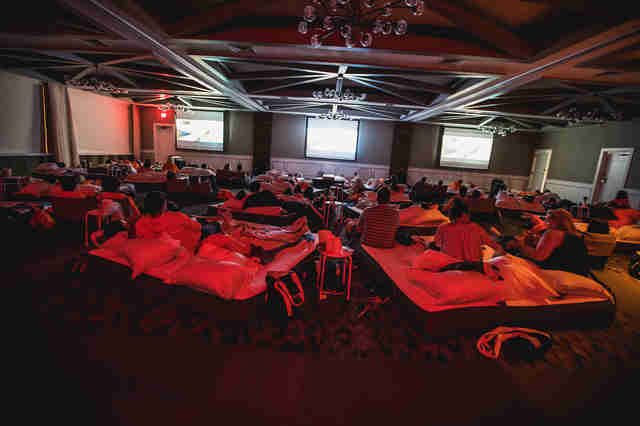 In oversized sweatshirts and on pillowy mattresses, 40-some-odd fans of Eternal Sunshine of the Spotless Mind cozied up with loved ones to watch a perfect movie for the umpteenth time. They trekked to Montauk for photo ops and weekend anecdotes. They left with a few Instagram-worthy shots and a truly Kaufman-esque reminder: everything changes. Everything fades. Everything is turbulent and mysterious and challenging and temporary. In the final blinks before Lacuna completely wipes Clementine from Joel's memory, her fabricated self realizes that soon she'll be gone for good. She asks her Joel what to do. "Enjoy it," he replies. There are pleasures in the past and present and future. Where you've been you can go again, even if it'll never be the same. Meet me in Montauk. If we hold on to memories (and movies), we'll always have that pleasure. Learn more about Focus Features other 15th anniversary screenings at its official website.